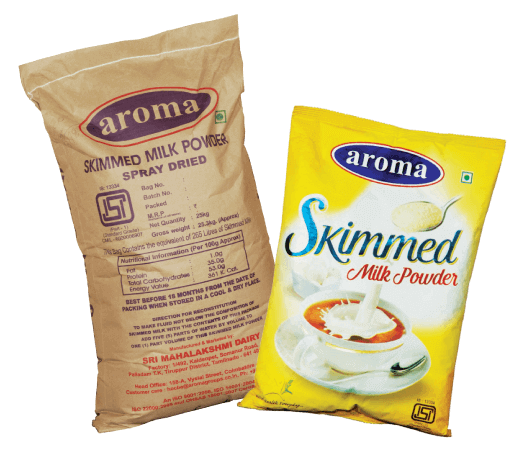 Aroma Skimmed Milk Powder is made from fresh, pasteurized, non – flat milk without preservative or other chemical interference. The agglomerated powder is spray dried and processed to produce a structure that dissolves in water immediately, for your convenience. Retaining the properties of fresh milk, Aroma Skimmed Milk Powder contains lactose, milk proteins and milk minerals as well.